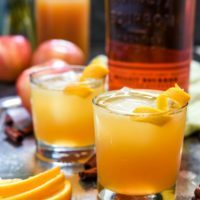 These Bourbon Apple Cider Cocktails with cinnamon simple syrup are just what I want to sip on at the end of the day. There in my bathroom little P sat, looking adorably ornery, in a pile of unraveled toilet paper. It made for a cute picture, the kind you share on Facebook with a caption like, “Can’t take your eyes off this kid for a minute!” Here’s what the picture doesn’t tell you: I let him do it. This is something I didn’t realize about motherhood before I had a child of my own. Sometimes your need for 2 minutes to brush your teeth and swipe some mascara on your lashes is greater than your need for neatly rolled toilet paper. Before we had kids, I was always careful to avoid saying “I will never ______ with my kids.” I had enough mom friends to know this was pure folly. Still, I never imagined I would willingly, knowingly let my kid unravel an entire roll of toilet paper just for a little bit of me time. And the destruction I’ve allowed unfortunately doesn’t stop there. He has gleefully ripped dish rags out of drawers, pulled ziplock bags out of boxes, and unearthed mounds of tupperware from the cupboards. Cluttering the house seems to be his favorite his past time. I’m tempted to spend my days chasing him around, picking up after every mini Godzilla event, pulling him away from the kitchen cabinets, closing drawers, and dragging him back to his designated play area. Unfortunately, that leaves us both exhausted and frustrated. Instead, I’m learning to let him explore, and when I’m tempted to despair over the mess, I join him on the floor, attempting to see the world through his 2 foot tall eyes. It appears sacrifice is the name of the game for new parents, and one of those sacrifices seems to involve having neatly folded dish towels and orderly cabinets. It gets to me sometimes. Truthfully, it does. I don’t love messy drawers and cluttered floors. I like having my toilet paper in a nice roll. I miss having 30 luxurious, uninterrupted minutes to get ready in the mornings. Heck, I even miss doing the dishes without having to pull a baby away from the dog bowl every other minute. But at the same time, I wouldn’t trade these messy days for anything. I’m so thankful little P is growing and exploring. I love to watch him learn, love that every little thing can amuse or fascinate him. The opening and closing of a drawer, the stacking of cups and bowls, the clang of a wooden spoon on a pot. Our boring, every day stuff is his playground. 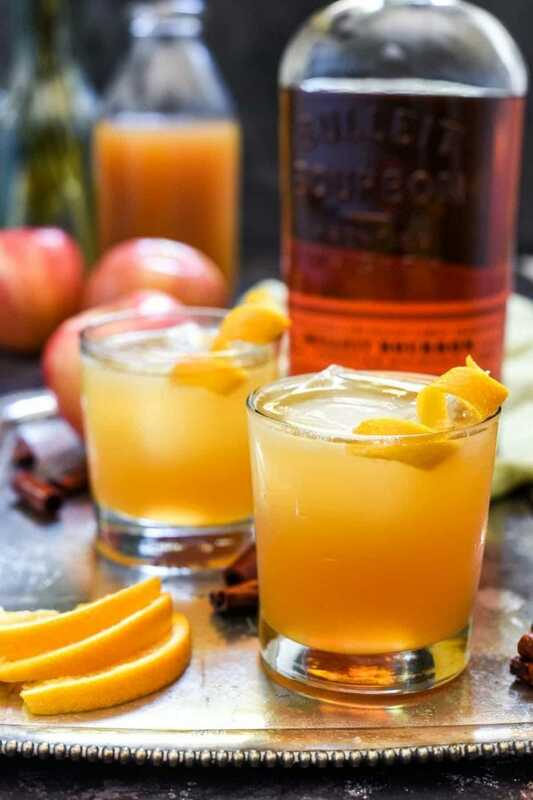 So I’ll keep letting him play, and at the end of another long, full, wonderful, chaotic day, I’ll treat myself to a Bourbon Apple Cider Cocktail. This is all I really want after the baby’s asleep. A couch to sink into, a blanket to cozy up in, and a cocktail to sip on. This cocktail is modeled after a drink I had at Kraft House No. 5, one of my favorite restaurants in the area. 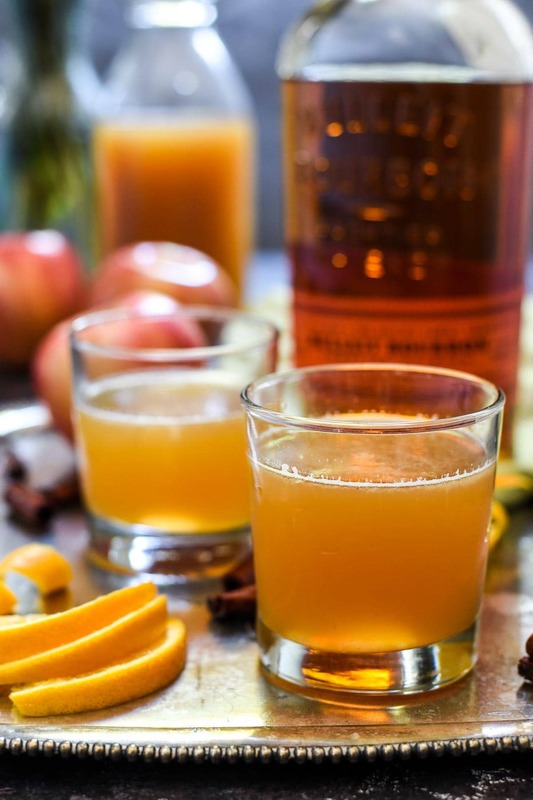 It’s called The Flannel Shirt and it has fall written all over it: warming bourbon, crisp apple cider, spicy cinnamon syrup, and a hint of lemon and orange. It is familiar but sophisticated, comforting but refreshing. It really does feel like slipping into your favorite flannel on that first chilly day of fall. The cinnamon simple syrup will make your house smell amazing, and may even stir up a desire to start playing Christmas music (sorry/not sorry). But I won’t get too far ahead of myself. For now, I’ll just enjoy the season I’m in: colorful, crisp, messy Autumn, and all the joys it brings. Bourbon, apple cider, and cinnamon combine for a cocktail that's perfect for an Autumn day. In a small sauce pan, bring the water, sugar, and cinnamon sticks to a boil, stirring until the sugar is dissolved. Remove from heat and allow to cool. The syrup can be made ahead of time and stored in the fridge. 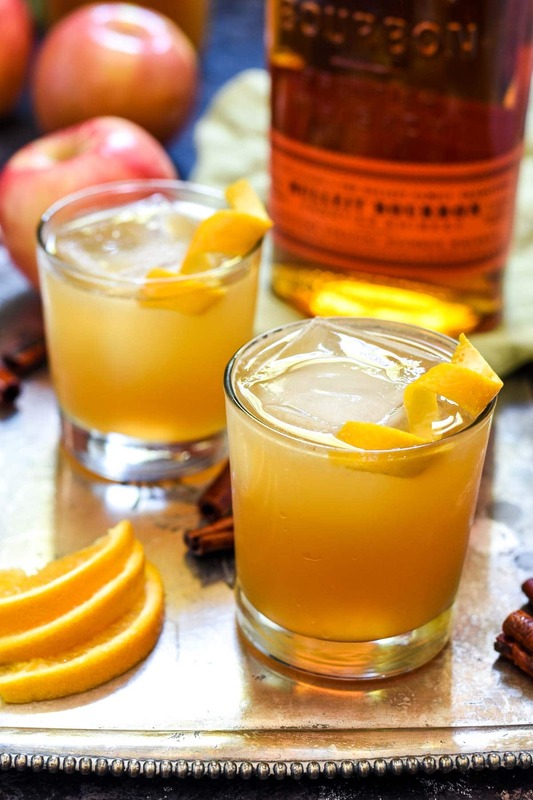 For each drink, combine the bourbon, cider, lemon juice, simple syrup, and bitters in a cocktail shaker with ice. 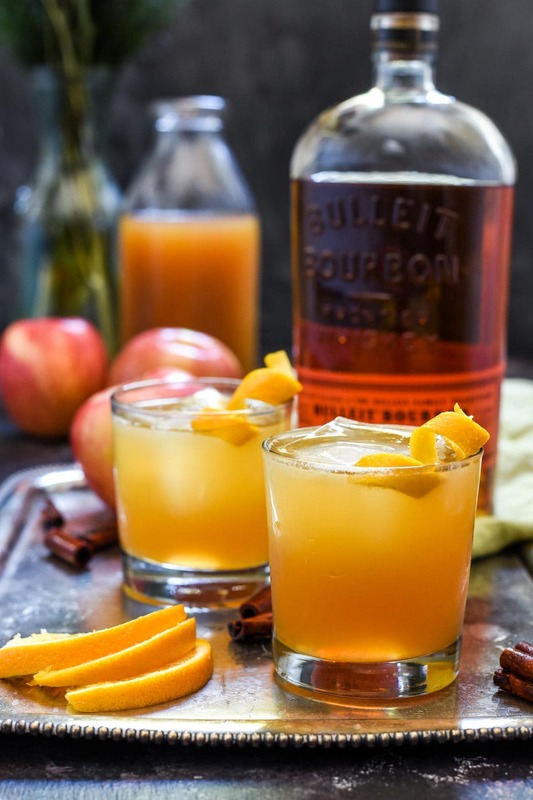 Shake until chilled then pour over ice in a glass and serve. I see the recipe for the simple syrup but no recipe for the cocktail itself…. Can you reload it or …..? Sorry about that! The simple syrup is just the water, sugar, and cinnamon. The ingredients for the cocktail are included below that. I’ll put an extra sub heading in to make that more clear!